The holiday season is well upon us, and we’re running low on time to find the perfect gift for everyone on your list. If you’re anything like us, you’re having a bit of difficulty — there are so many options and deals that it’s hard to know what to buy! That’s why haven’t curated the top 50 or even 25 best gifts for Mom or your BFF — we’ve picked just two things for everyone on your list! Look no further; the some of our favorite gift ideas are below — and best of all, everything on this list is under $100! 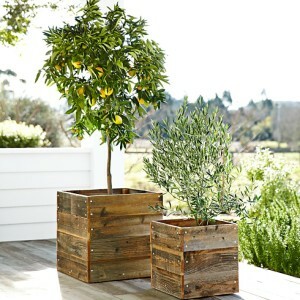 A plant may seem boring, but these Meyer Lemon trees brighten up any room (yes, they can be grown indoors anywhere!) and yield sweet, pretty fruit. Plus, they don’t require a lot of care and feeding—just sunlight and water! Introduce your parents to the joys that Orange is the New Black and House of Cards can bring. Just be sure to set it up on their TV, too. Just be forewarned that you might have to explain the real meaning to the phrase “Netflix and Chill” as well. Let’s face it; your kids are glued to their phones. But you shouldn’t have to listen to Justin Bieber on repeat. 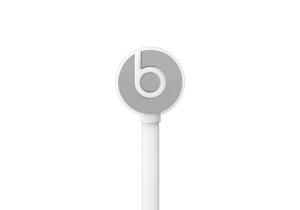 Beats by Dre are the best-selling earbuds in the industry, and some of the best quality, too. These buds are a great option for under $100. 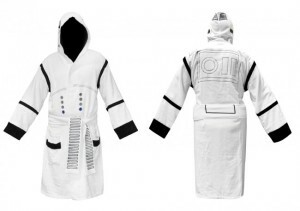 Introduce the next generation to Star Wars – and then let them live out their fantasies in this plush white bathrobe. Show him (or her) that you’ll never have cold feet about your feelings. 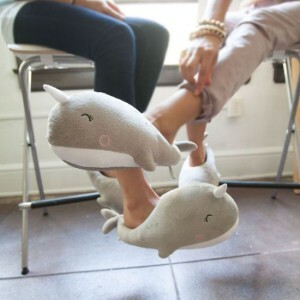 These adorable Narwhal heated slippers are as unique as your love. Treat them to special day at the spa. 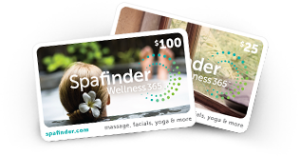 SpaFinder gift cards are available in any denomination, but are often found at a discount ($79.99 for a $100 card) at stores like Costco. They’re redeemable for treatments at spas across the country, so your S.O. can get a mani/pedi, massage, facial or scrub at any place their heart desires. Embrace your brother or sister’s inner epicurean. 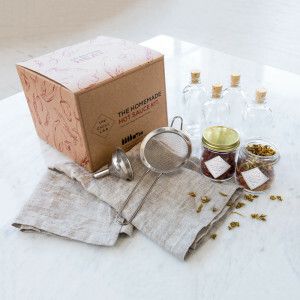 This DIY hot sauce kit (sign up for emails to get 15% off your purchase) features a recipe book and all the tools they’ll need to customize a condiment that’s perfect for them. 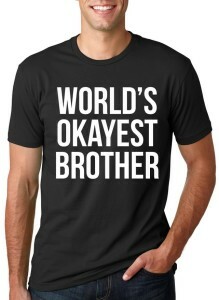 If gag gifts are your thing, tell your sibling just how you feel. They’re just… okay. She’s funny, original and stylish. 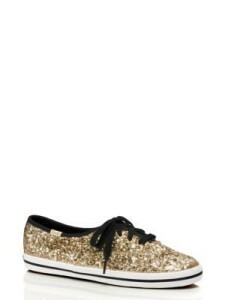 Gift her a pair of shoes that are just as cool as she is. The best gifts are often those that you want, but wouldn’t splurge on for yourself. Bath products from cult beauty brand favorite Laura Mercier are always on our wish list. Tell your bestie to treat herself. If you shop through Macy’s, you’ll likely get a discount thanks to ample pre-holiday coupon availablity. 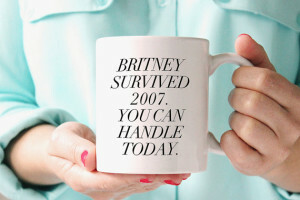 We love these custom mugs with fun, fierce sayings for your work bestie or just the office white elephant. Have you ever just wanted the week to end already? Your coworkers feel the same. Make each day feel like an accomplishment earned as you pop the bubbles on this minimalist yet chic wall calendar.